Combine all ingredients in small saucepan. Cook over medium heat until mixture is thick and the consistency of jam, about five minutes. Set aside and cool. Stir flour, baking powder and salt together in a large bowl. In a separate bowl mix eggs, sugar, oil and vanilla. Combine the egg mixture with the flour mix and form into a ball. On a floured surface, using a rolling pin, roll out the dough to about 1/4 inch thick. Take a glass with a wide mouth to use as a cookie-cutter and press firmly into dough to make discs. Continue once all dough is used up. 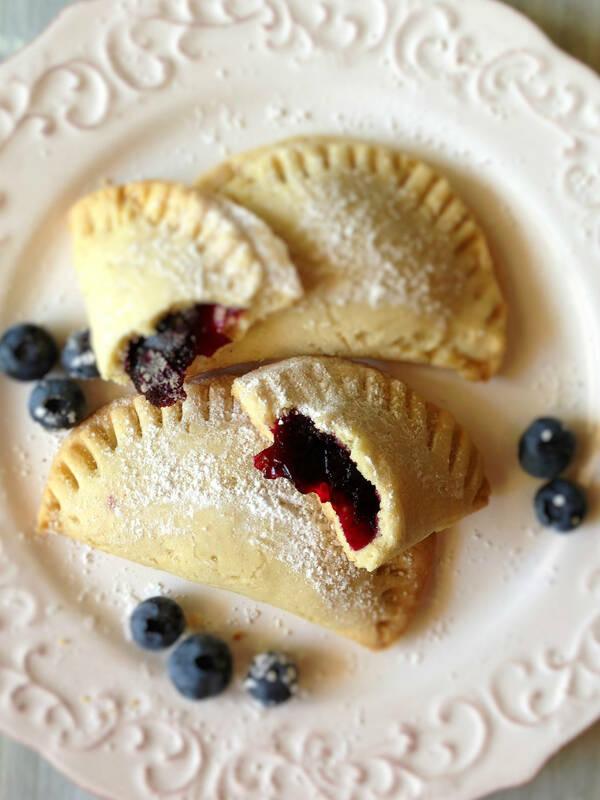 Place discs onto baking sheet, drop a teaspoon of blueberry filling onto each disc. To help seal the crescent, put a little water on your finger and slide it on half the disc's edge. Then fold disc in half. Using a fork, firmly press the folded edge until it is sealed. Bake at 350 degrees for 20-25 minutes until crescents are golden. Cool on wire rack and sprinkle with powdered sugar. 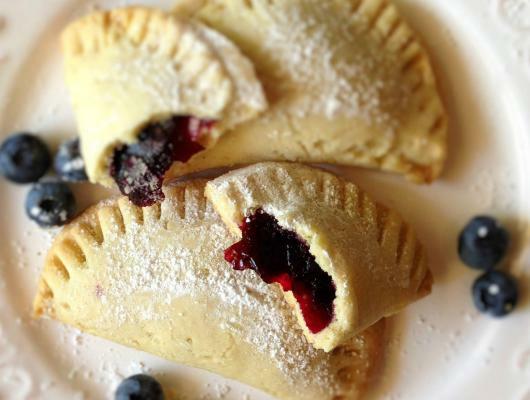 Use fresh blueberries to make this delicious treat. They are sweet and tart all at the same time.